Riddell founded multiple oil and gas companies during his career, including Paramount Resources in 1974. He was the president and CEO until his son Jim took over the business in 2015. Clay Riddell, the billionaire oil baron and co-owner of the Calgary Flames, has died at age 81. His daughter is also an oil titan in her own right: Susan Riddell Rose is CEO of Perpetual Energy. According to Forbes, Riddell was worth an estimated $1.1 billion US in 2018, down from a peak of $3.3 billion in 2014. "We are all devastated," said Ken King, vice-chair and CEO of Calgary Sports and Entertainment Corporation. "It's very difficult to measure the impact and influence somebody like Clay has. His influence and impact on this community and this province and this country is immeasurable and his legacy will be equally immeasurable." Above all, King called Riddell a true friend. "We just kind of got each other," he said. "To me, he was the epitome of humility and leadership of the highest order. It's not possible to express my sadness at his passing." In 2006 Riddell was inducted into the Alberta Business Hall of Fame, and in 2008 he was named an officer of the Order of Canada for his volunteer work and philanthropy. Riddell donated a $10-million Cdn endowment to the University of Manitoba, his alma mater, to create the Faculty of Environment, Earth, and Resources. The school has a scholarship in his name. And in 2013 he and his family donated $15 million to the Alberta Children's Hospital to create a children's chronic pain rehabilitation centre in the name of his late wife, Vi, who worked at the hospital as a nurse for 30 years. The library at Mount Royal University is named after Riddell, who contributed to its construction. In 2010, he was a founding supporter of the Riddell Graduate Program in Political Management at Carleton University in Ottawa. The students, alumni, faculty, and staff of the Clayton H. Riddell Graduate Program in Political Management are deeply saddened to hear of Mr. Riddell's passing. We express our condolences to Mr. Riddell's family. He was a generous man who will be missed. His involvement with the Flames began in 2003 when he joined the team's ownership group. "Clay was a lifelong fan.... He was a fan first, owner second, maybe even third or fourth. There isn't anything he wouldn't have done and didn't do to ensure the security of this team.... That was Clay's driving force," said King. "He said, 'I'm going to do this because I love this team and we need to make sure this team continues to thrive.' His motivations were extraordinarily pure." Riddell also invested in Calgary restaurants Bonterra, and the now-closed Catch and Wildwood Grill, according to the Alberta Business Hall of Fame. "It is incredibly sad to learn of Clay Riddell's passing. He was a titan of our community — in industry, philanthropy, education, and sport," said Calgary Mayor Naheed Nenshi in a statement. "Calgarians feel his legacy now, and we will feel it for many years to come. My heart goes out to his family and friends in this difficult time. Know that we all mourn with you today." Spruce Meadows senior vice-president Ian Allison called Riddell "a giant in our community." "Obviously through his involvement with things like the Calgary Flames ownership group, the Shaw Charity Classic, a giant in the energy business, but it was so much more than that in terms of what he and the Riddell family brought to the city of Calgary through their involvement in the community, their philanthropic causes and always with Clay it was in an understated way. "He was a quiet man, he prioritized nothing above his family and he loved to be a part of the community's sport and recreation." Riddell was involved in Spruce Meadows through sponsorship of events and his love of equestrian sports. "The Riddells lived in the M.D. of Foothills so they were neighbours of ours at Spruce Meadows," he said. "It's not a secret that they had a great passion for horses, not only in equestrian sports but in thoroughbred racing, and I think their connection to Spruce Meadows is every element of what our founder used to talk about, good friendship, good commerce and good sport." 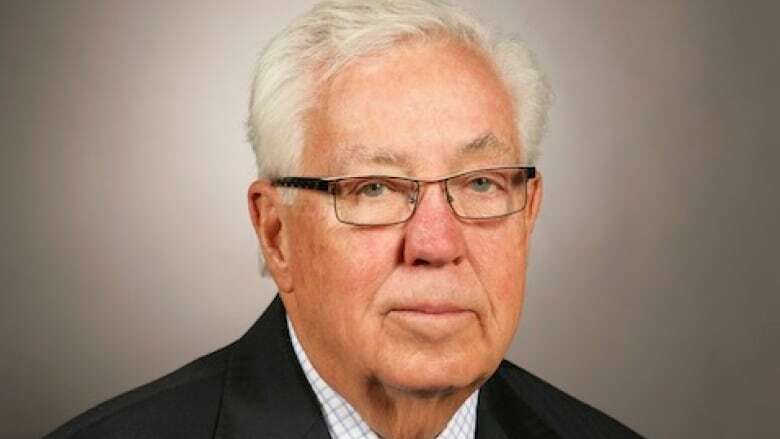 Former Alberta MLA and provincial treasurer Jim Dinning called Riddell a "pillar" of the country and said his passing leaves a large hole for future generations to fill. "When a guy like Clay moves on, it reminds us how important leadership is in our country, in our community and our province," he said. "It reminds us that there's a void and it reminds, especially young people, that they need to step up like Clay Riddell did to build a greater nation."